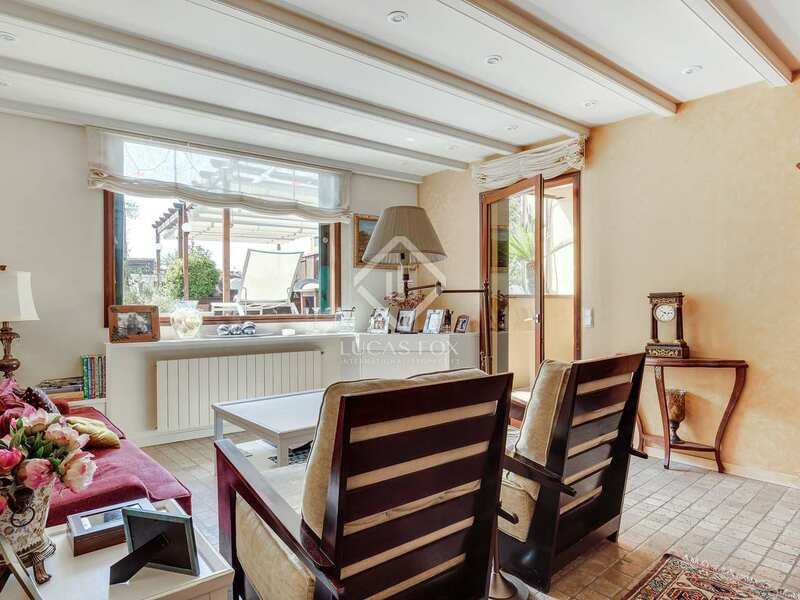 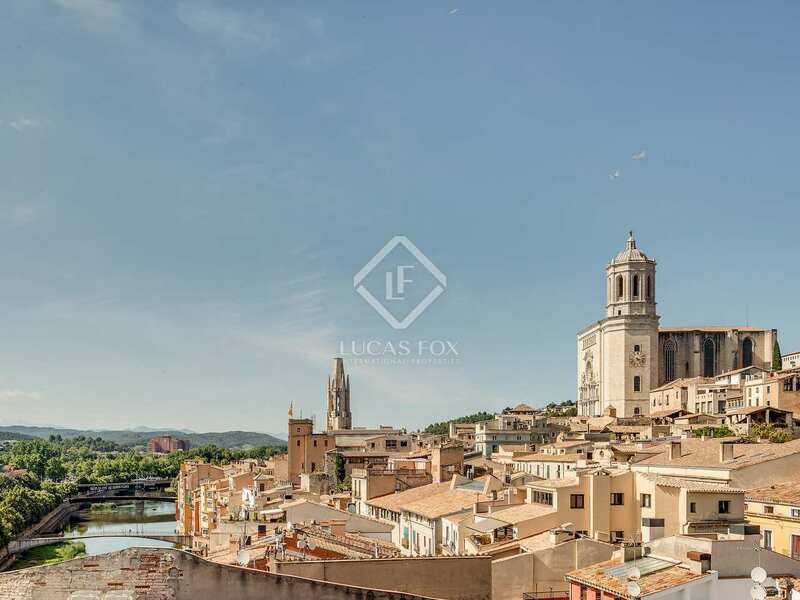 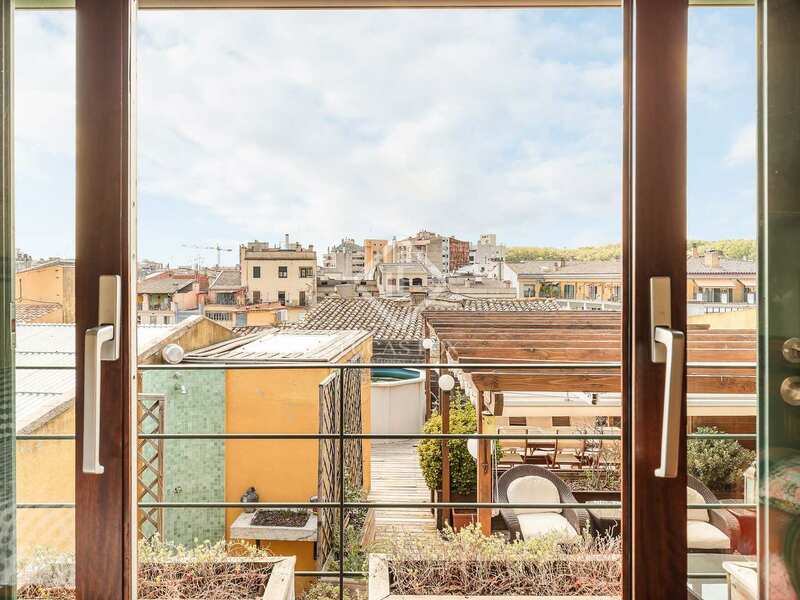 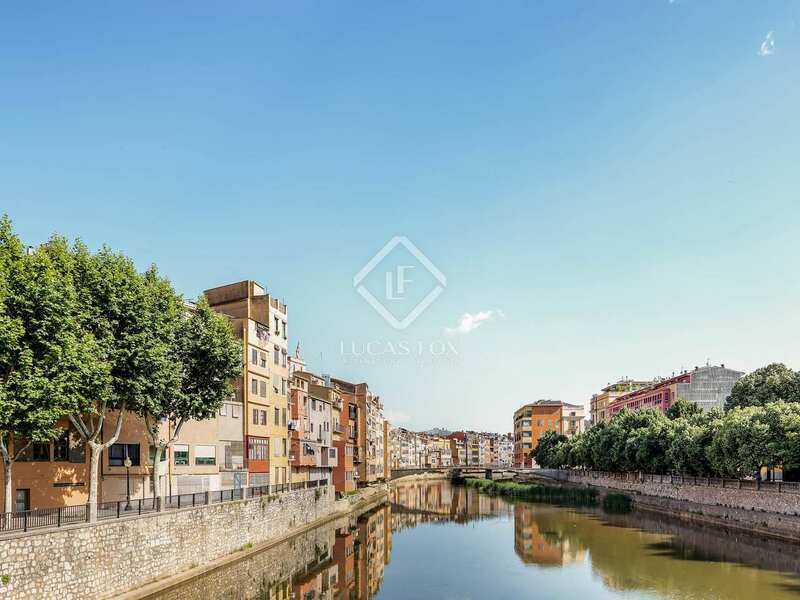 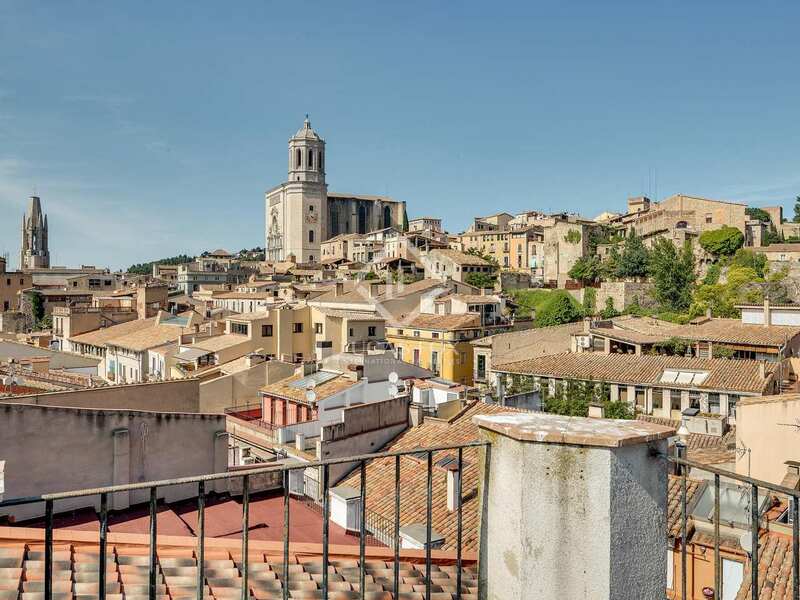 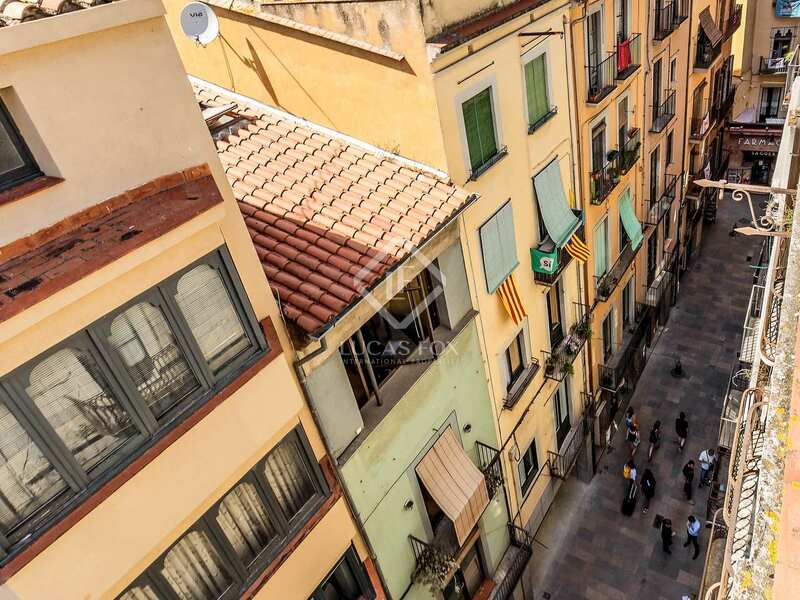 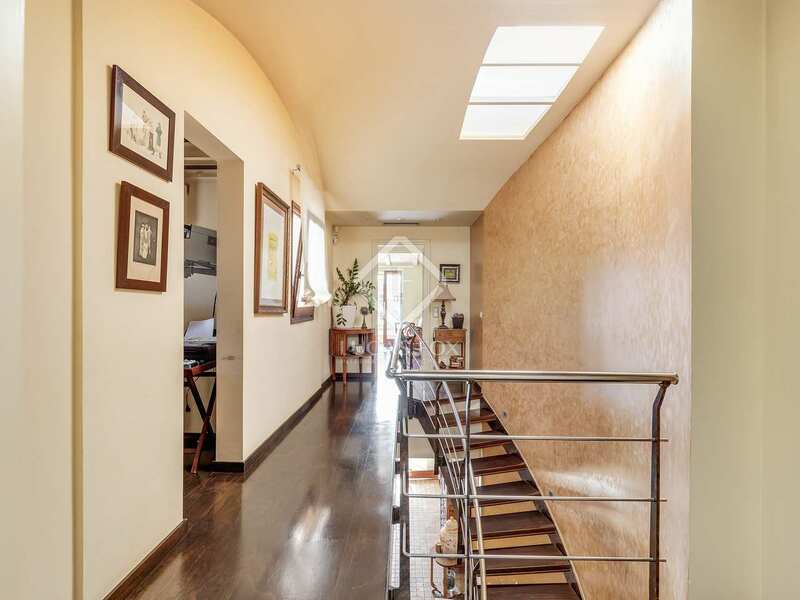 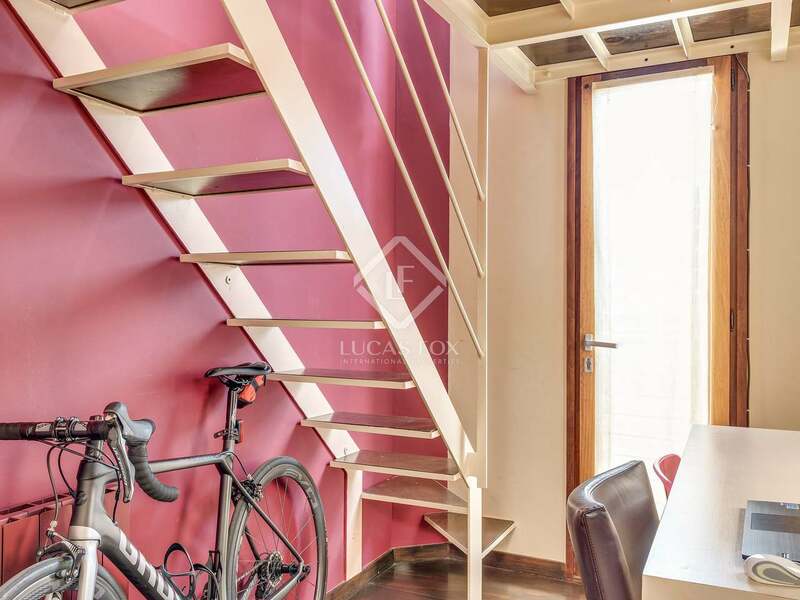 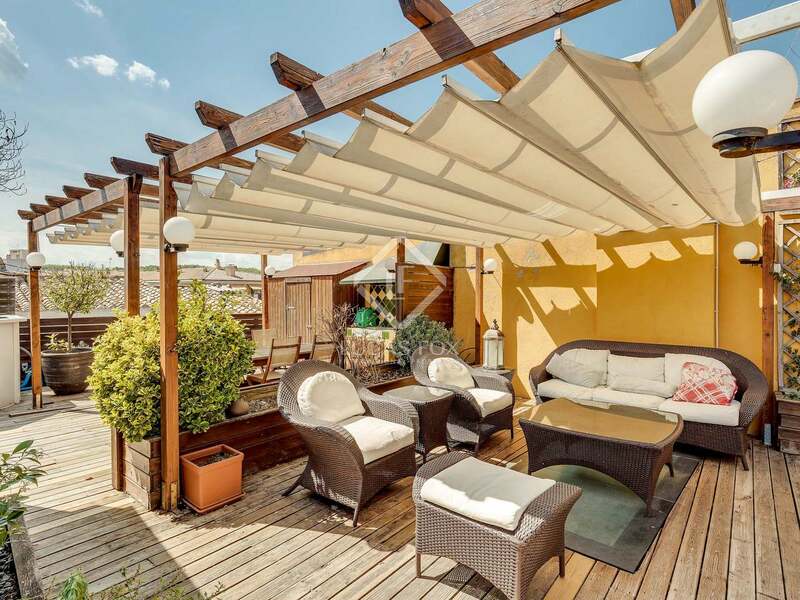 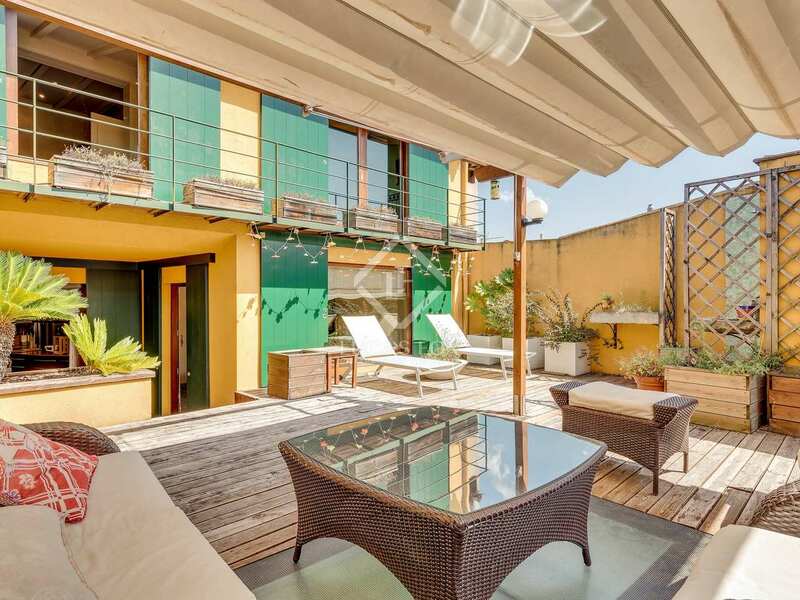 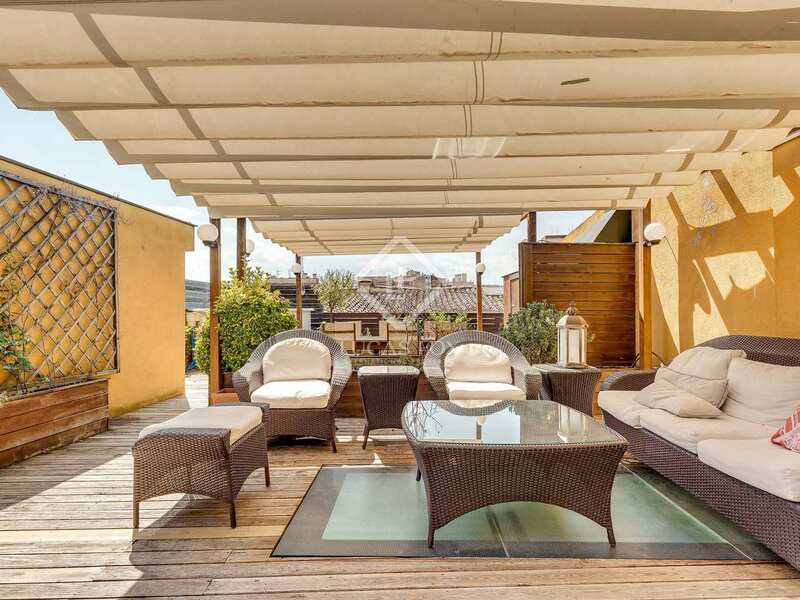 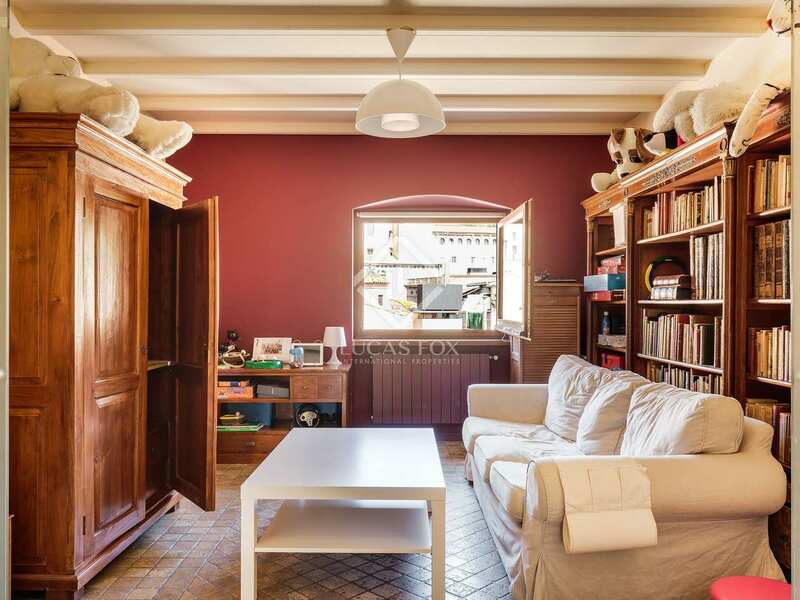 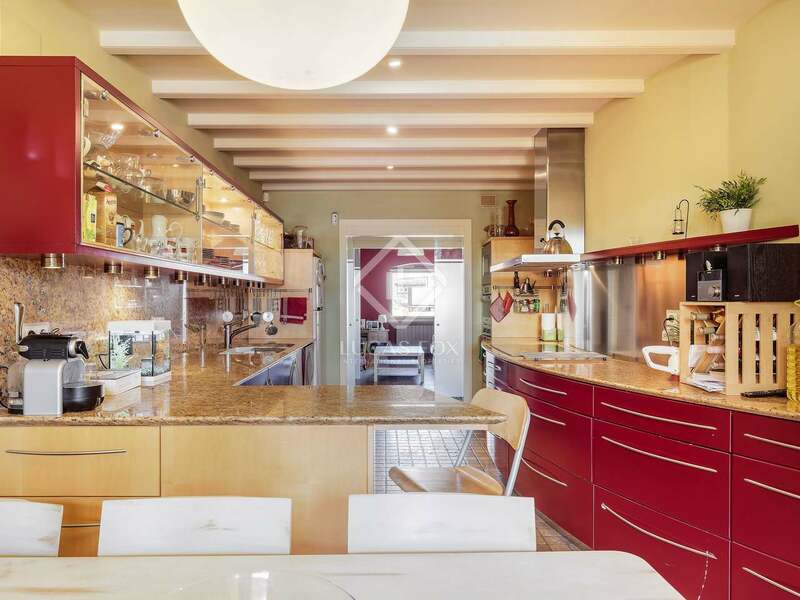 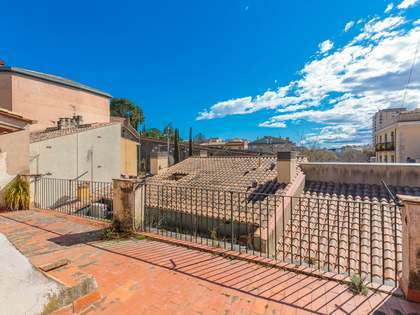 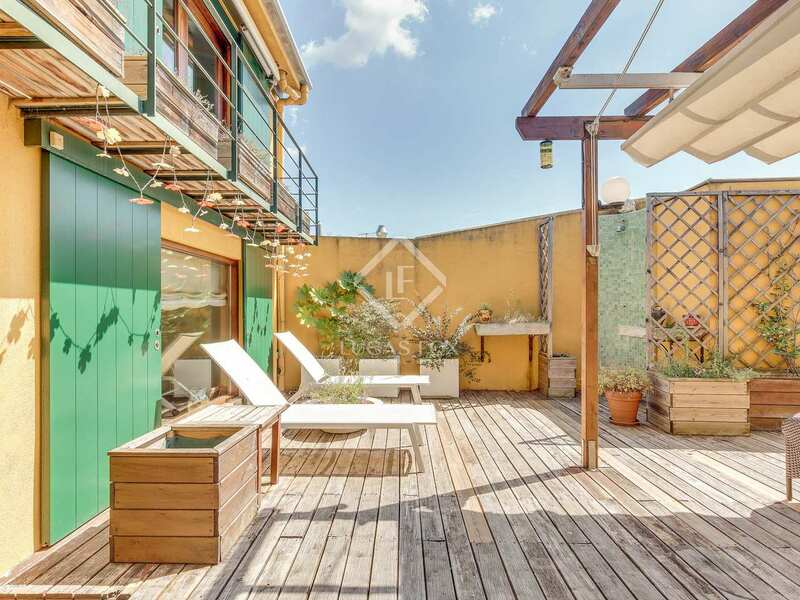 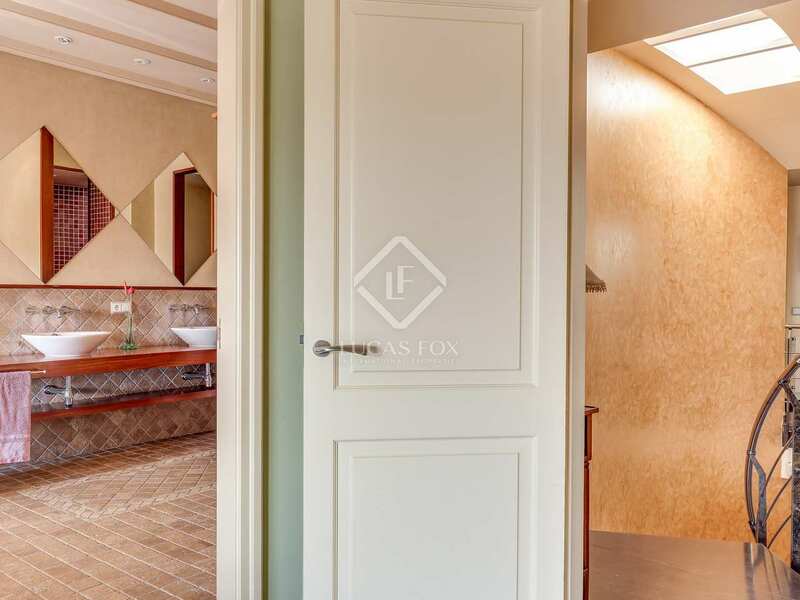 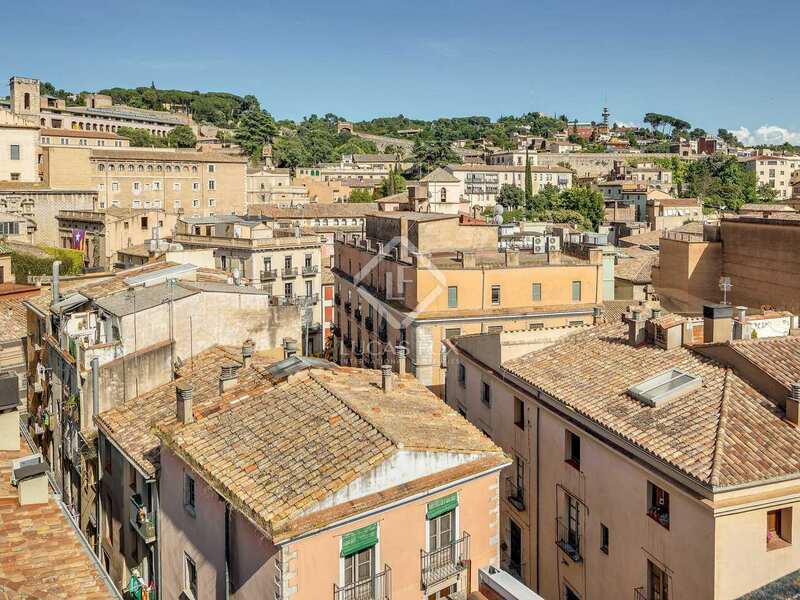 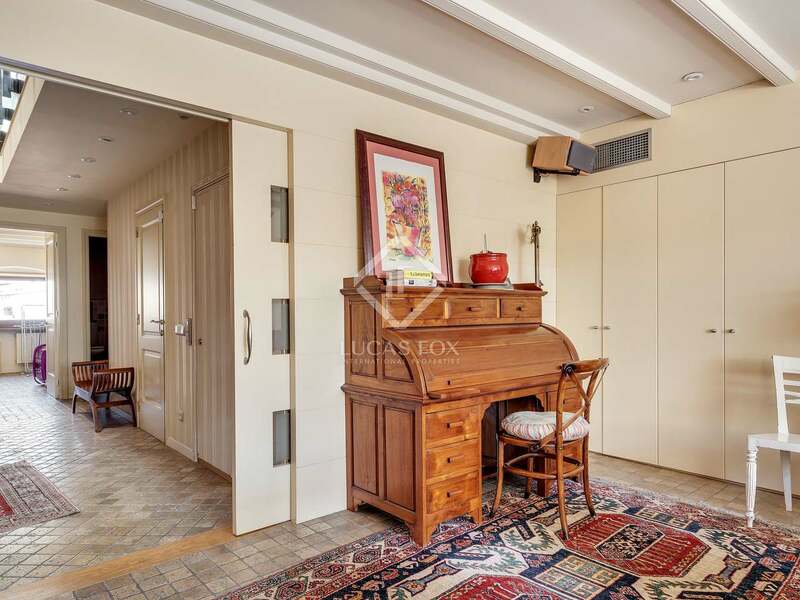 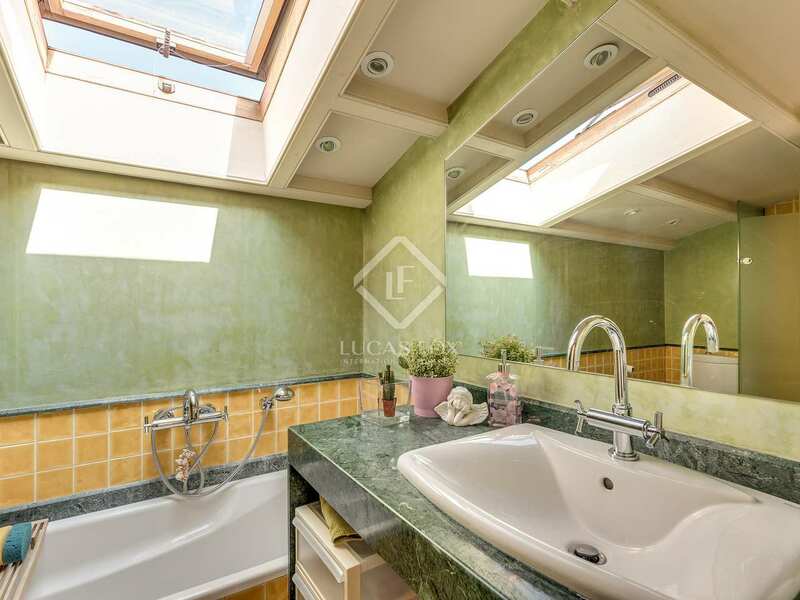 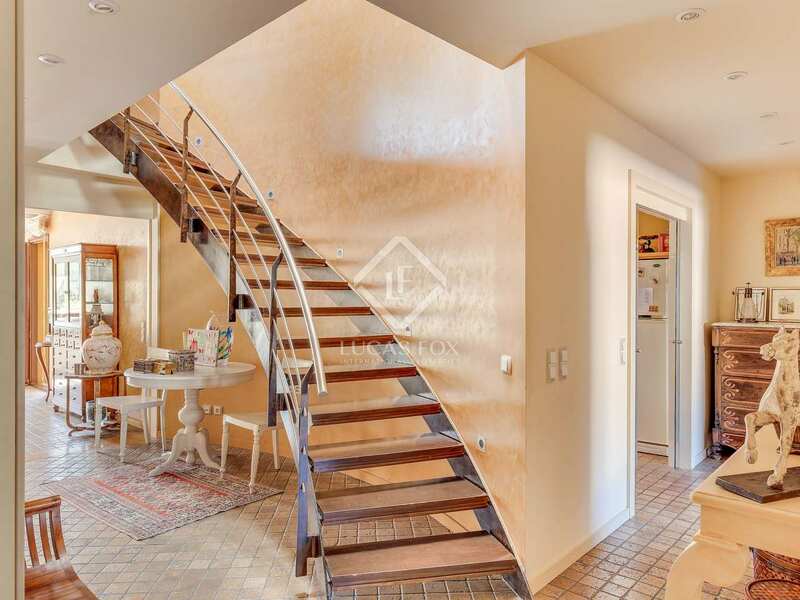 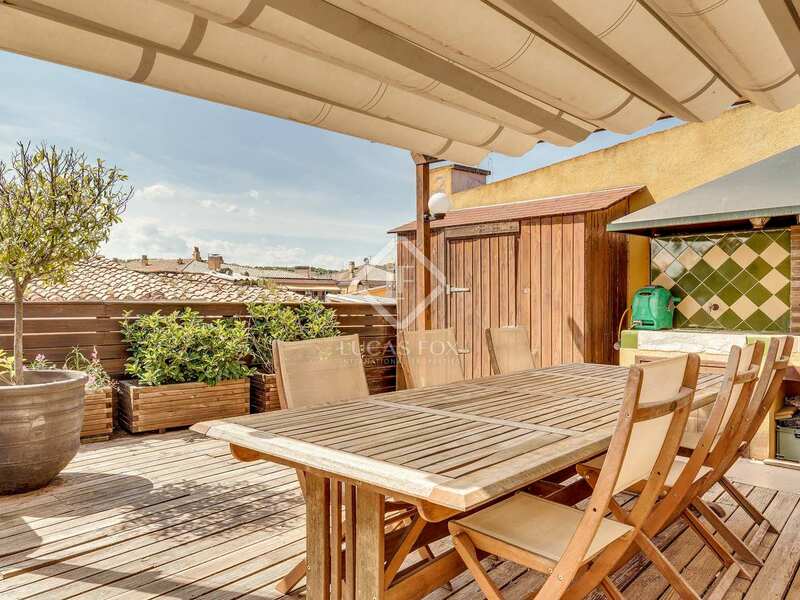 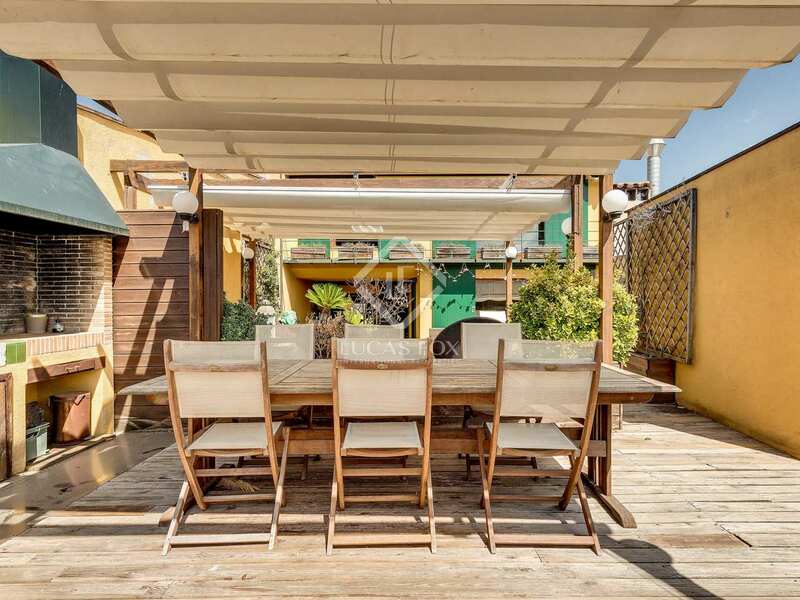 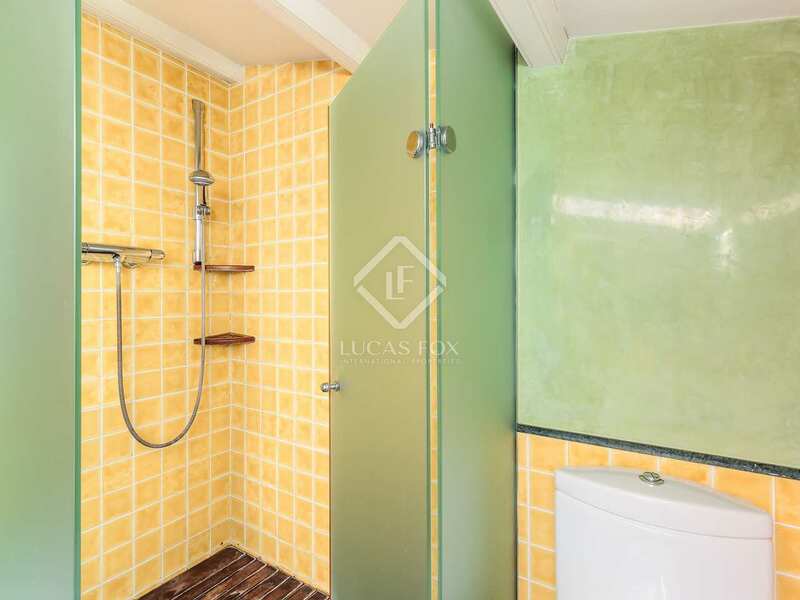 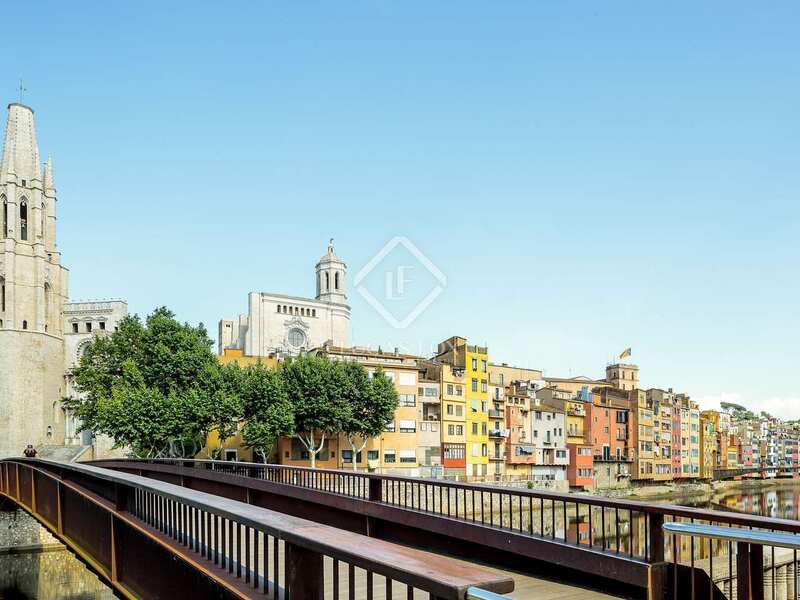 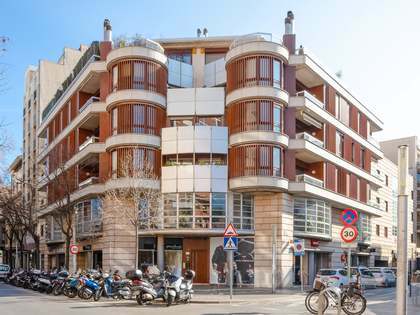 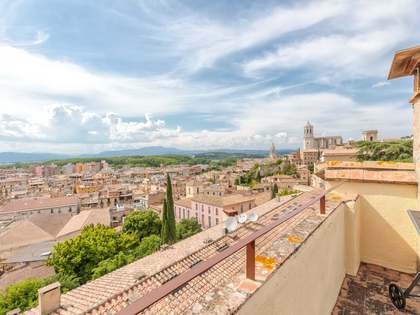 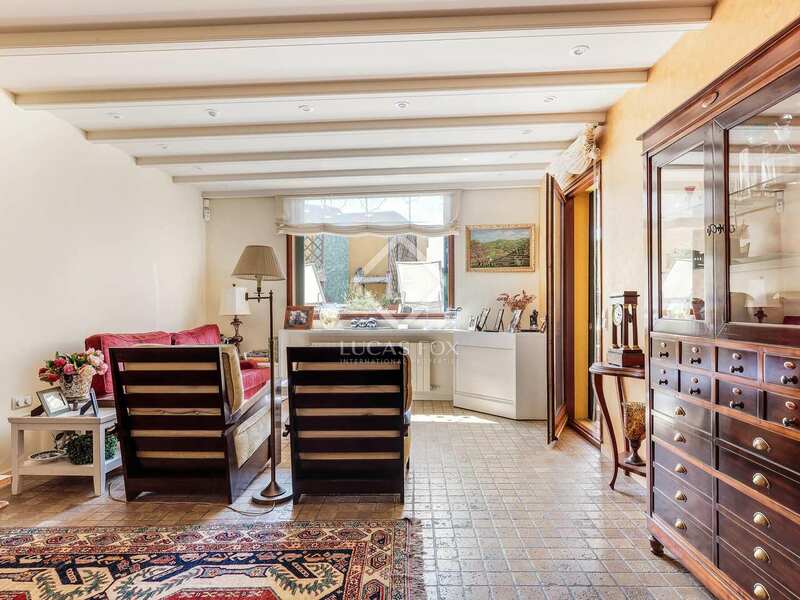 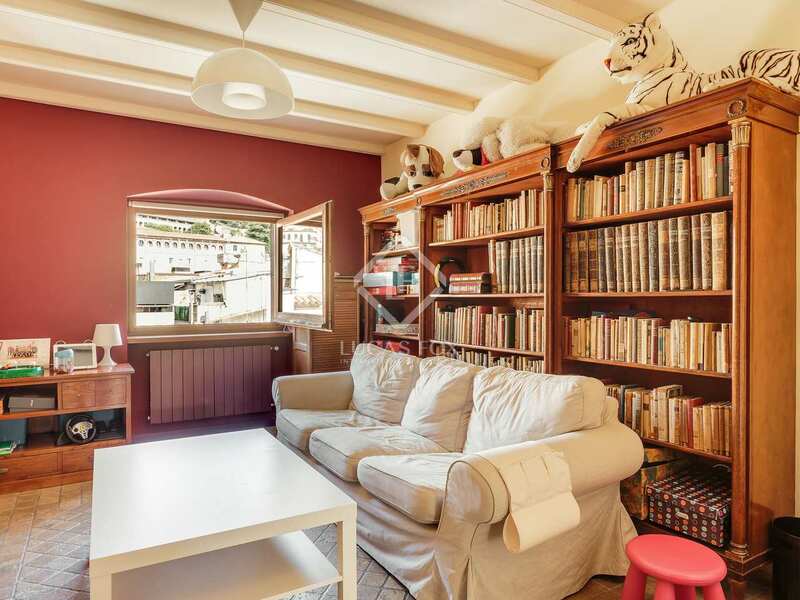 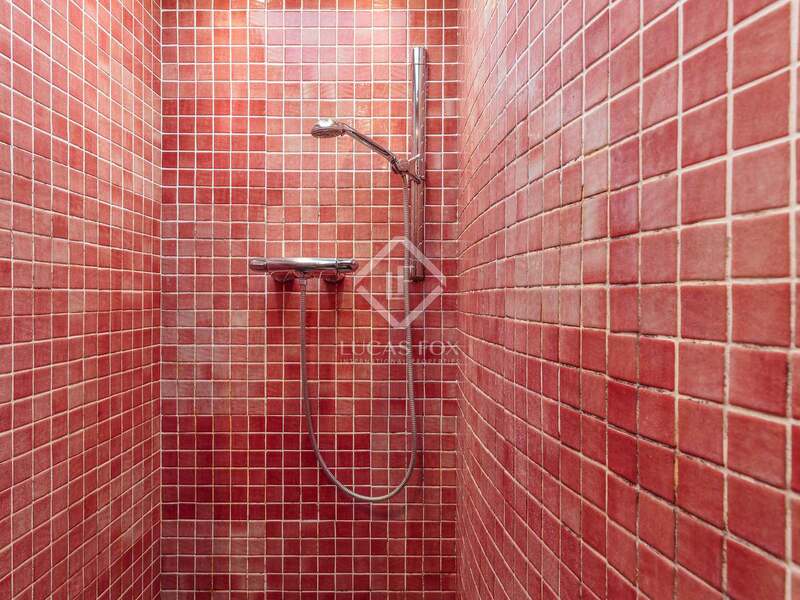 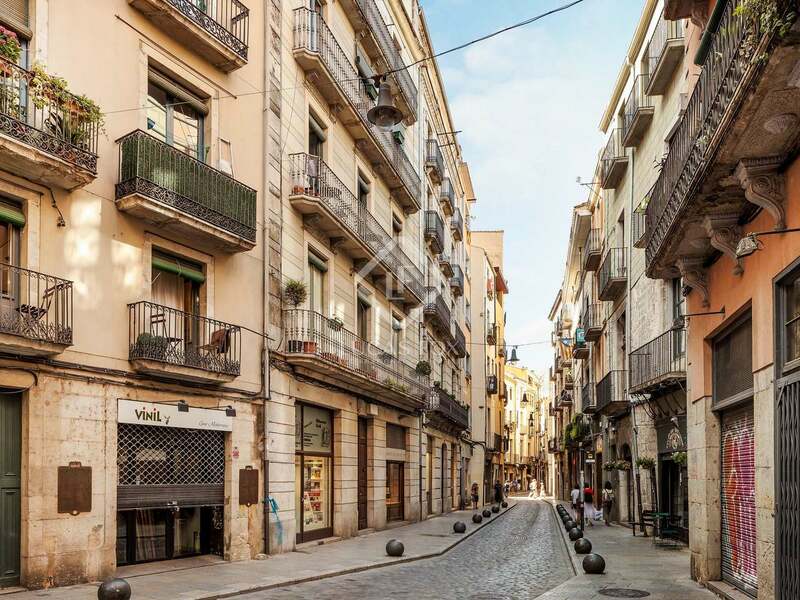 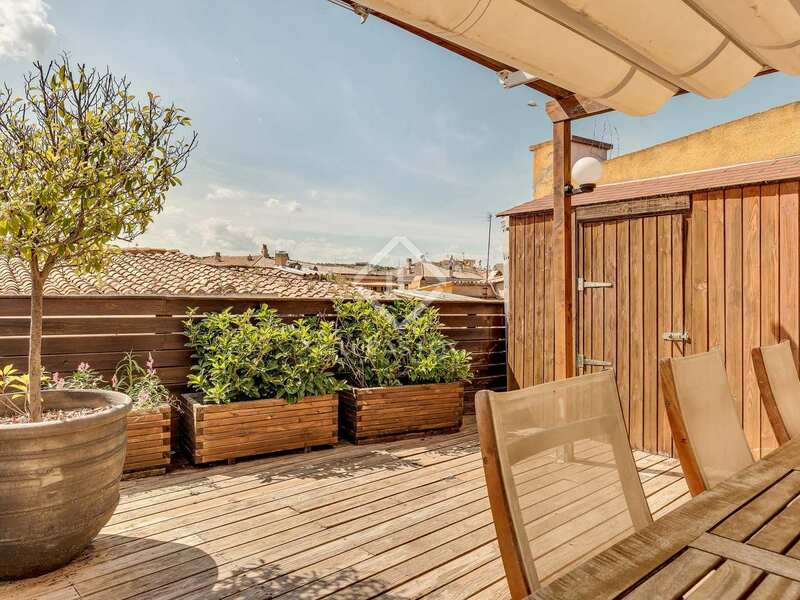 This penthouse is situated at the heart of Girona old town, overlooking the Rambla. 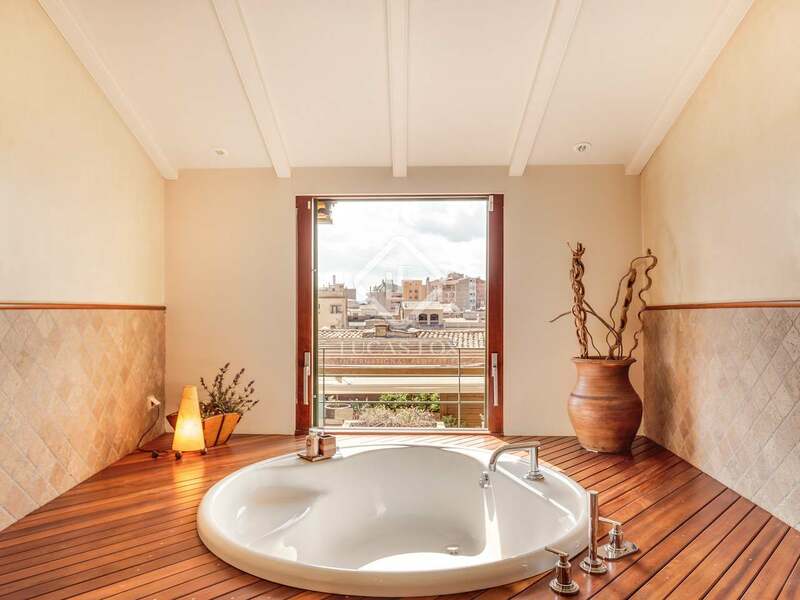 It is on the top floor of a historic building and has been completed restored. 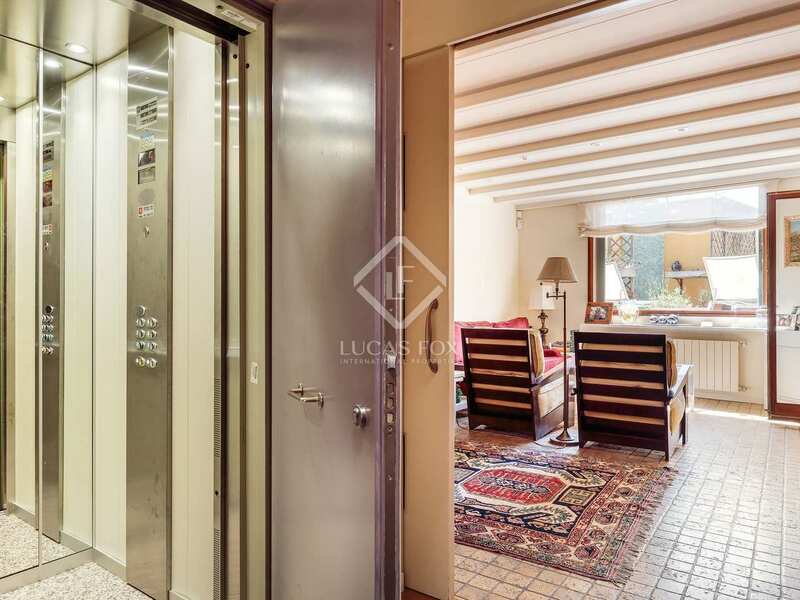 The building is entered through a main communal door and hallway and the apartment is accessed directly from the lift. 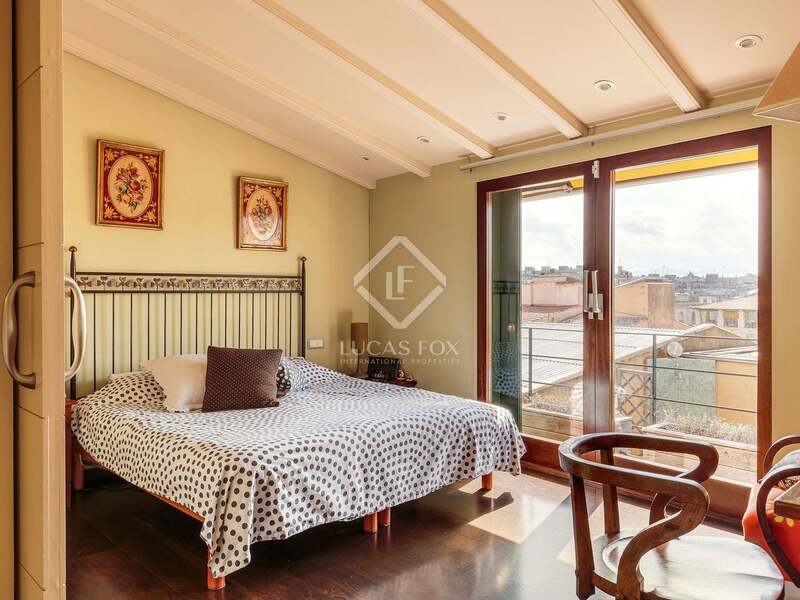 The apartment is spread over 2 floors and enjoys an abundance of natural light, air conditioning and heating. 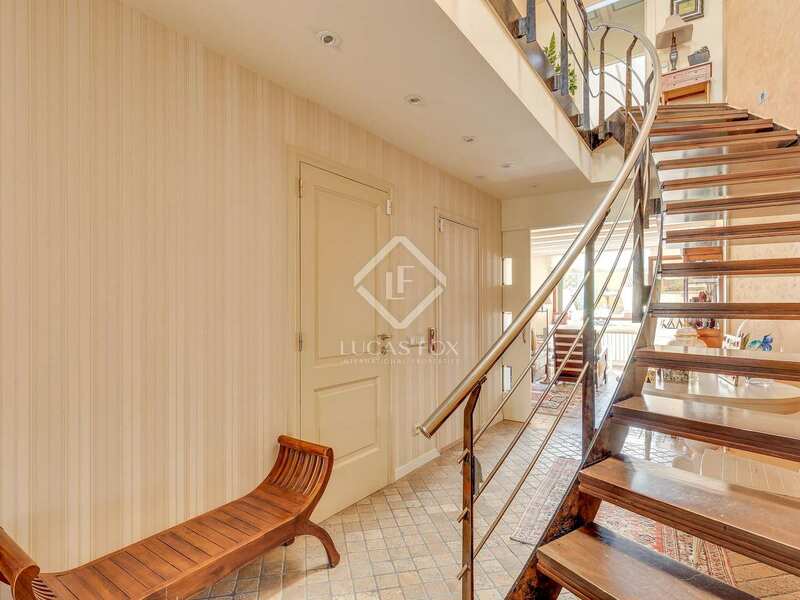 The lift opens out into the apartment on the fifth floor where we find a hallway with sweeping stairs up to the top floor. 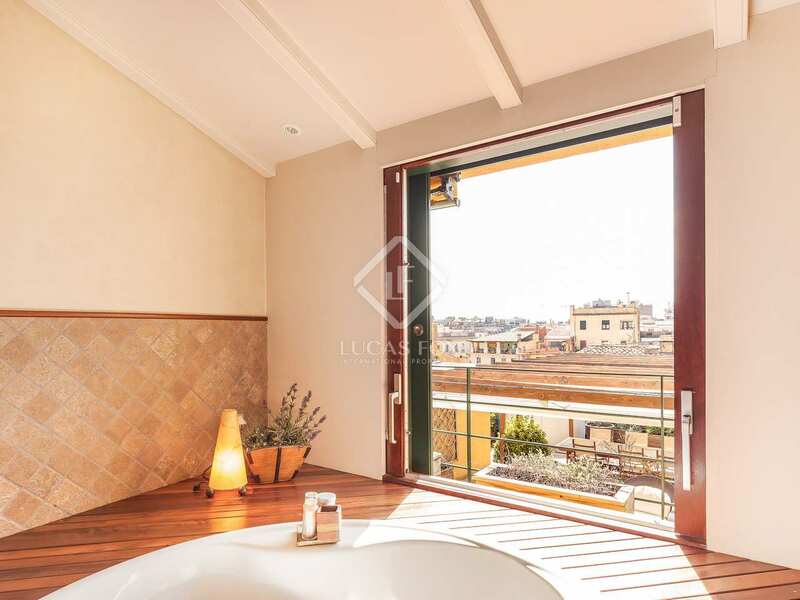 The living room has patio doors which lead out onto the large roof terrace with a pergola, chill out area, dining area, swimming pool and wonderful views of city and mountains. 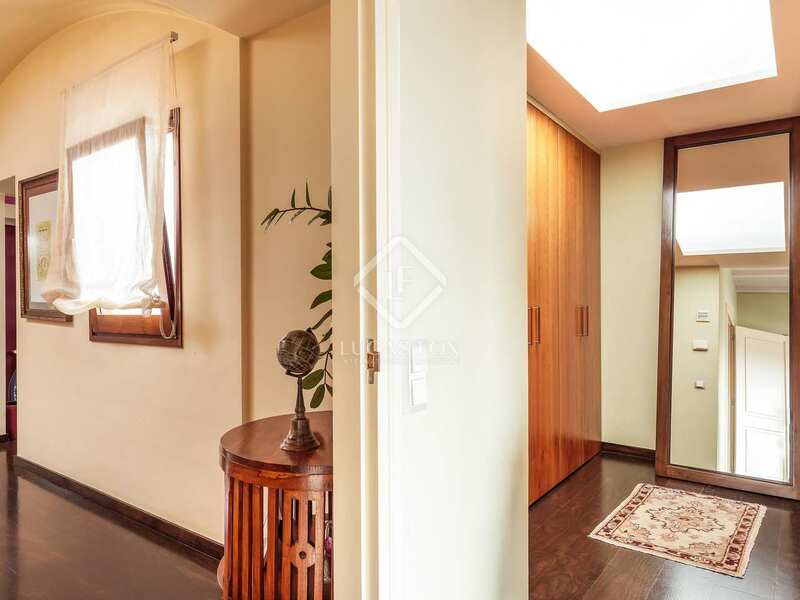 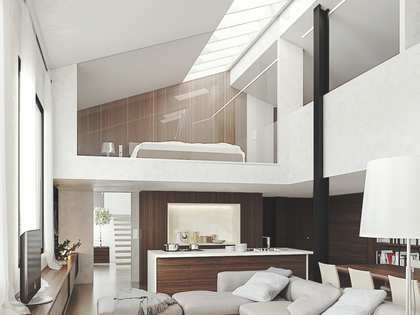 A corridor leads off from the hallway and to one bedroom with an ensuite bathroom, followed by a laundry room with fitted cupboards and the television room which could be fifth bedroom. 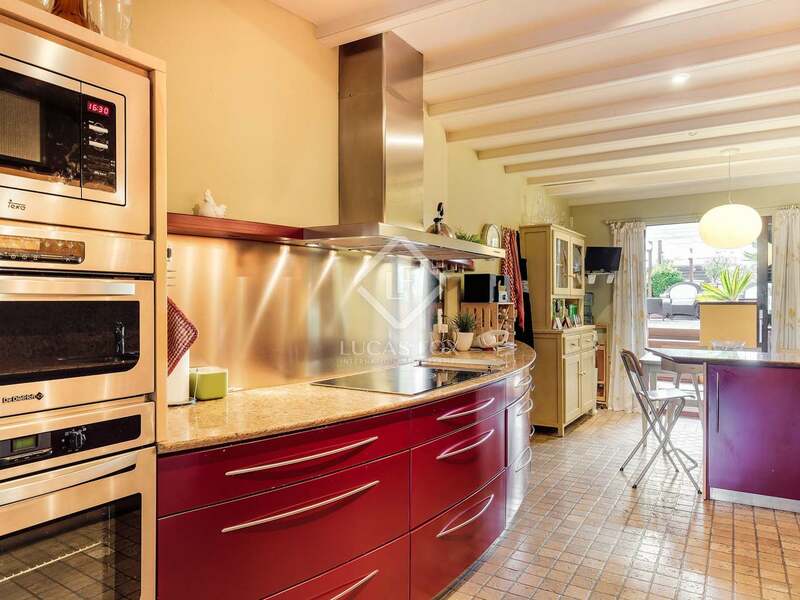 We also find the fully-fitted kitchen, also with patio doors opening out onto the roof terrace. 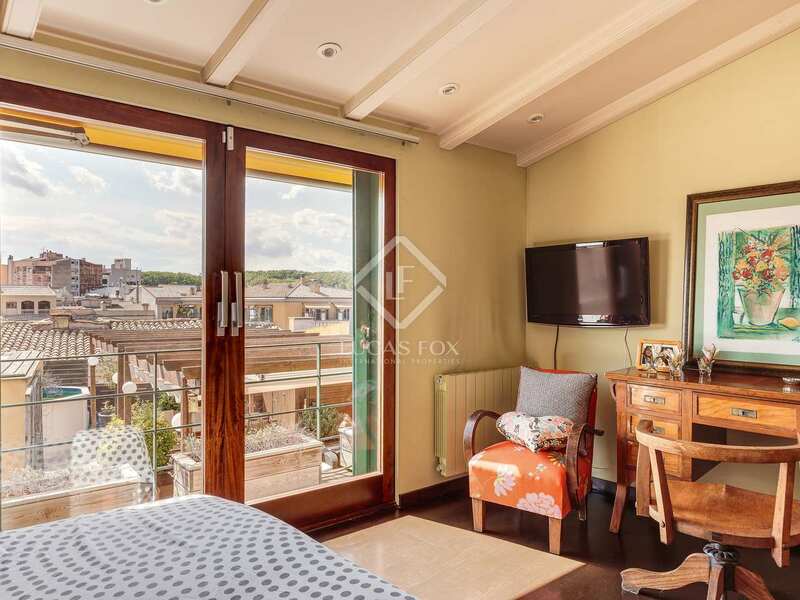 On the top floor a landing leads to the master suite with fitted wardrobes and a large ensuite bathroom with a jacuzzi and shower and wonderful views over the city. 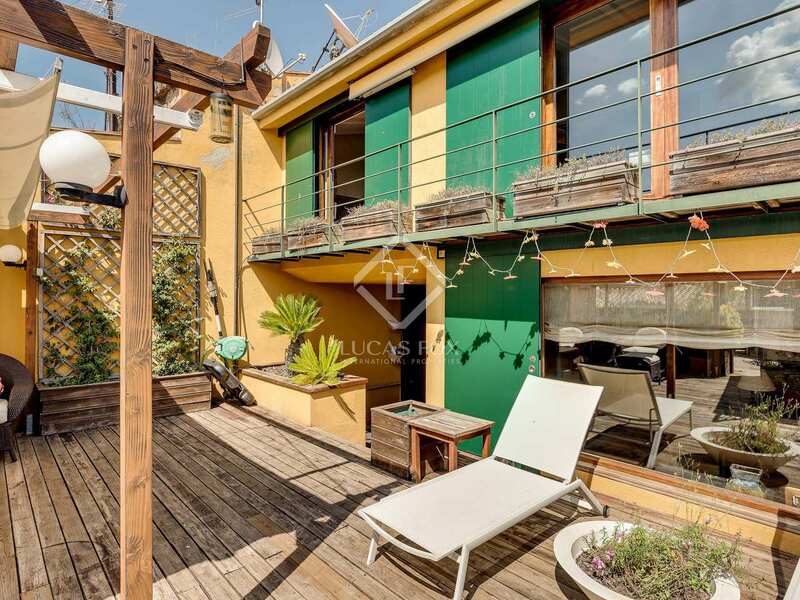 Also on this level are 2 double bedrooms with a shared bathroom and a small office with a terrace. 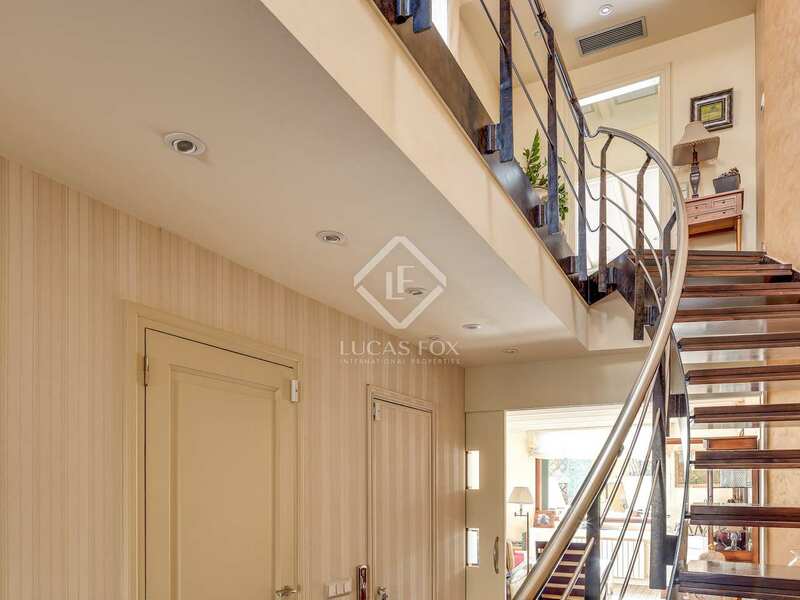 Stairs lead up to the tower where we find a small room currently used as an office and a small roof terrace on top of the tower with stunning views. 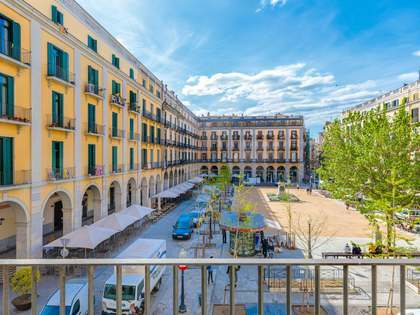 Ideal for families and anyone looking to live in a high-quality residence in the heart of the old city. 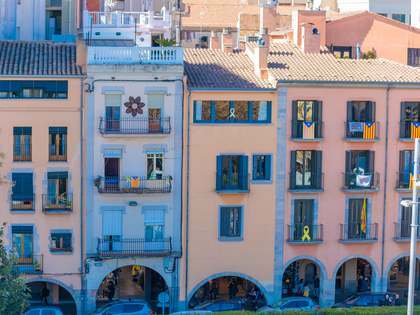 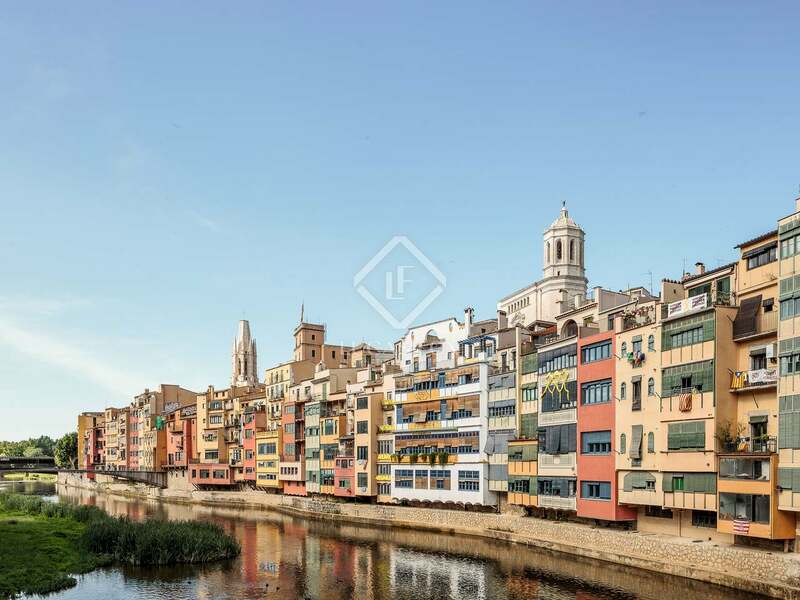 It also has potential for good all-year round rental yield as Girona is a popular tourist destination. 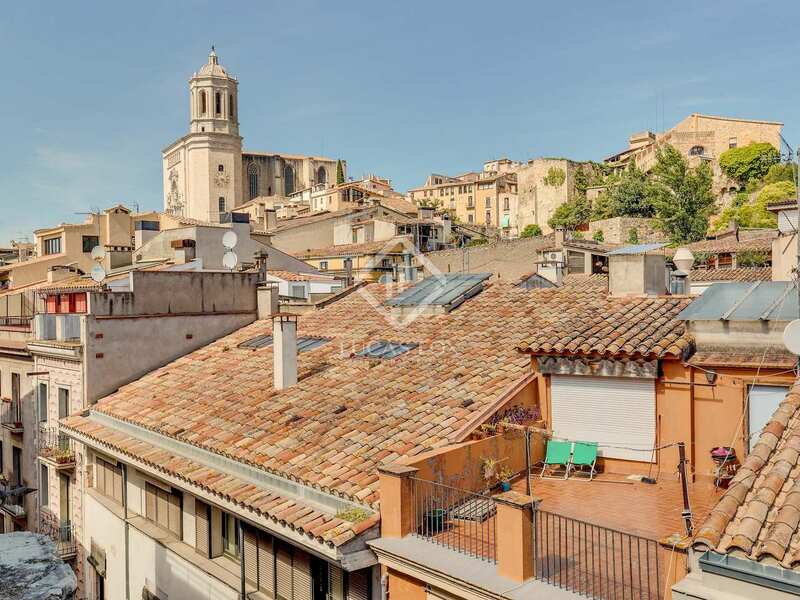 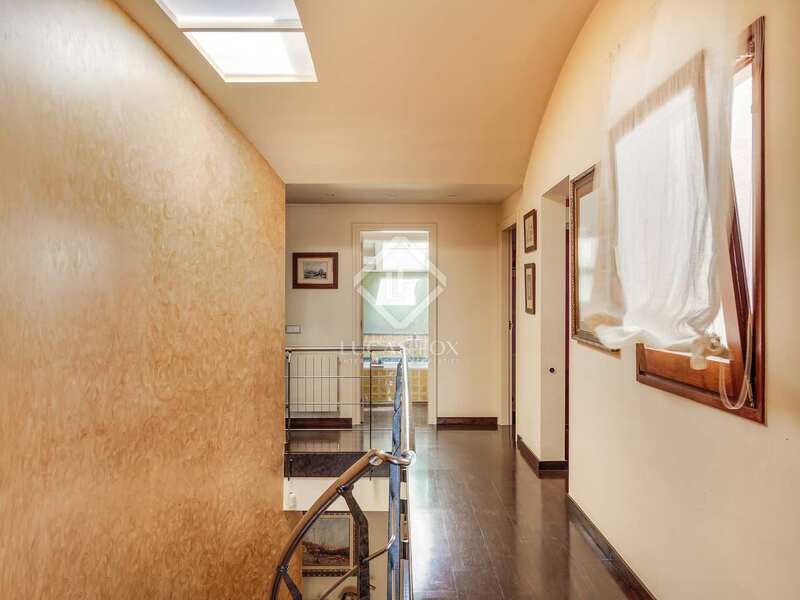 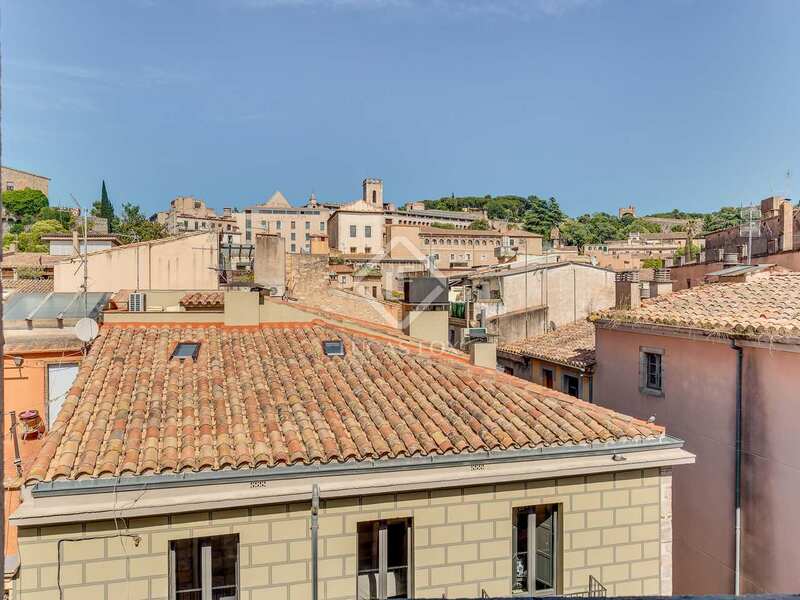 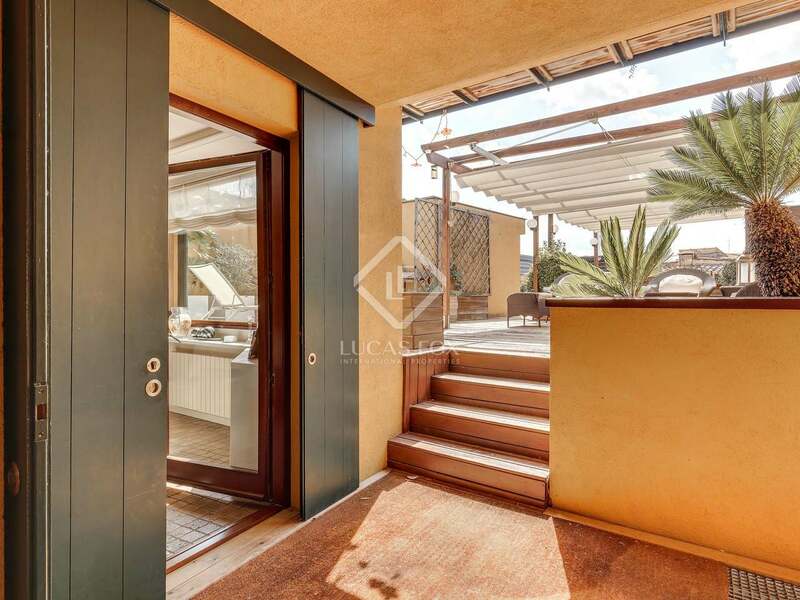 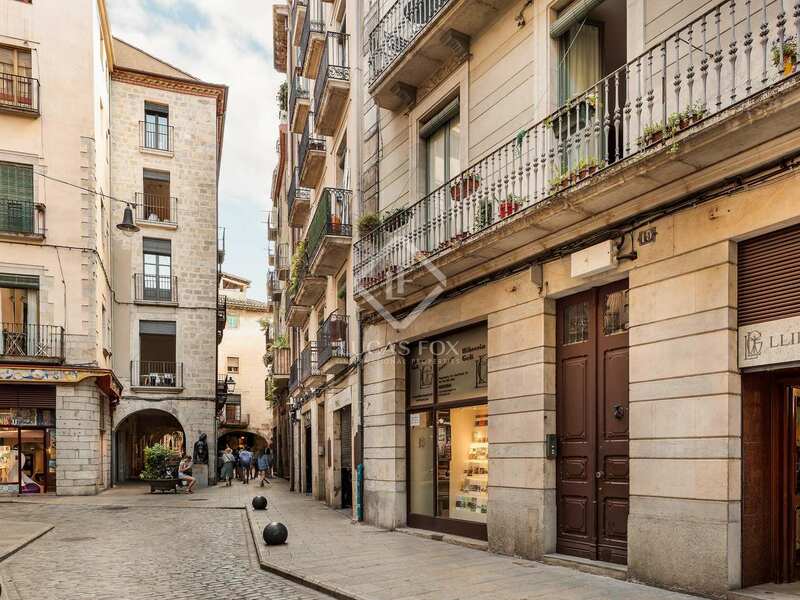 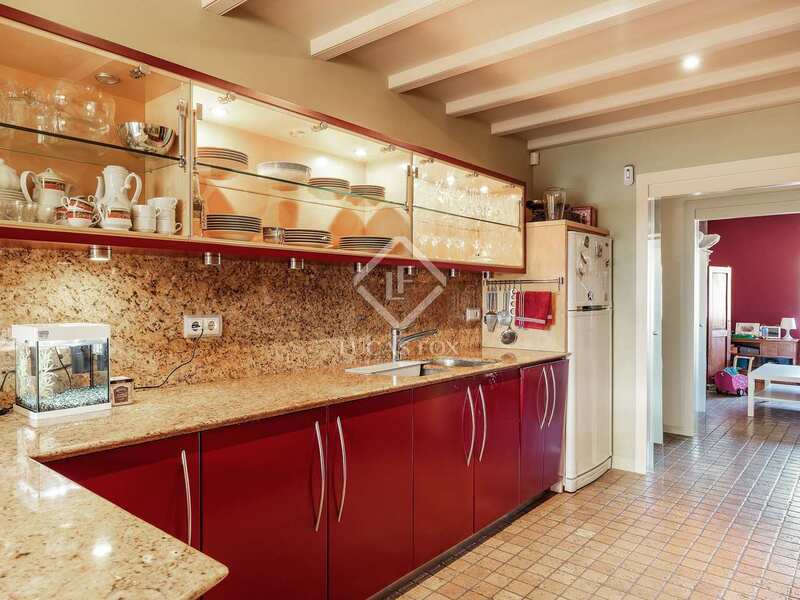 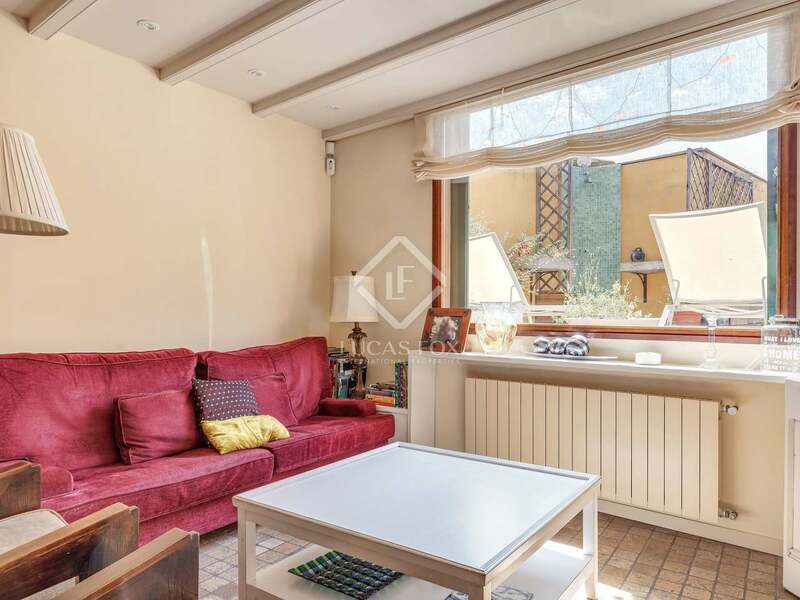 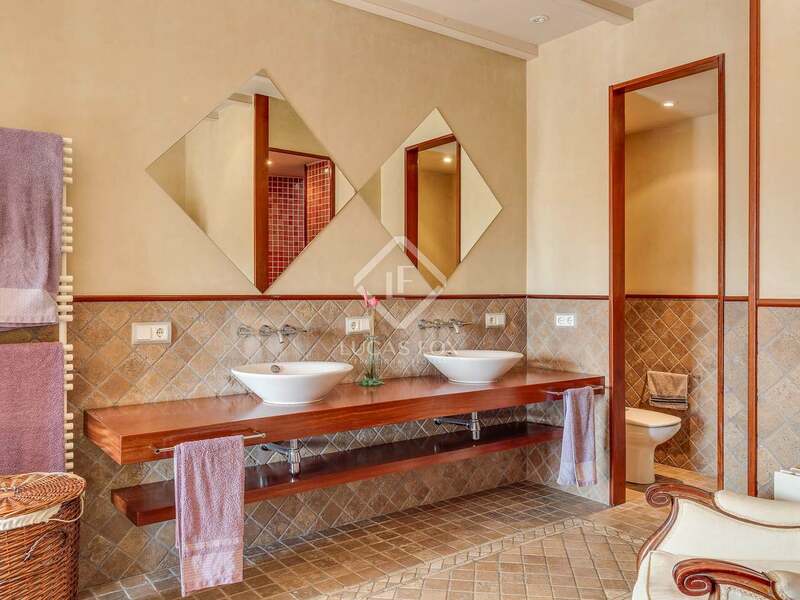 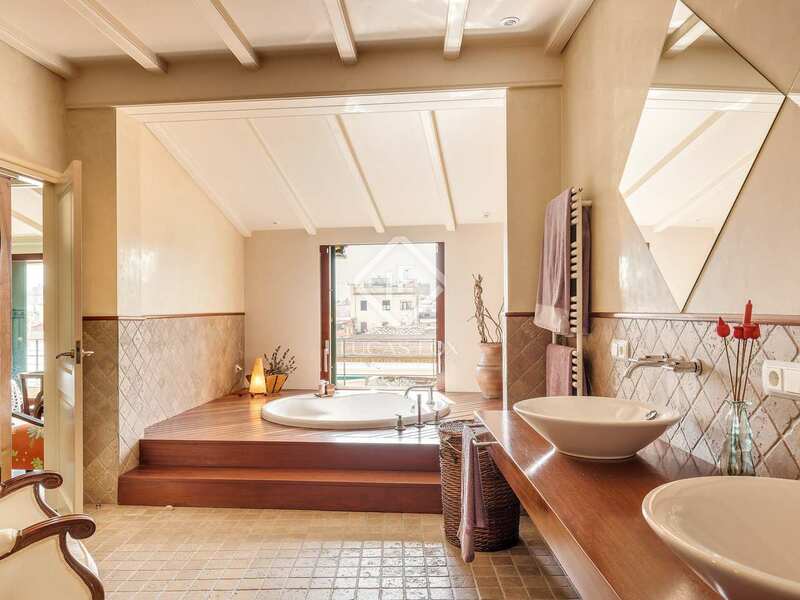 This property enjoys a splendid location in a fully restored historical building at the heart of the old city of Girona, overlooking the Rambla.